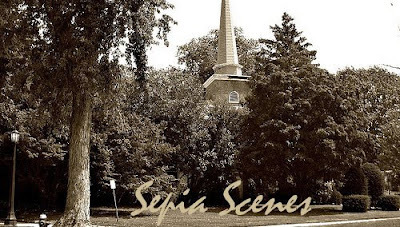 Today we start Sepia Scenes! You can post today and tomorrow. We start today so that our friends across the globe can post at a decent hour. 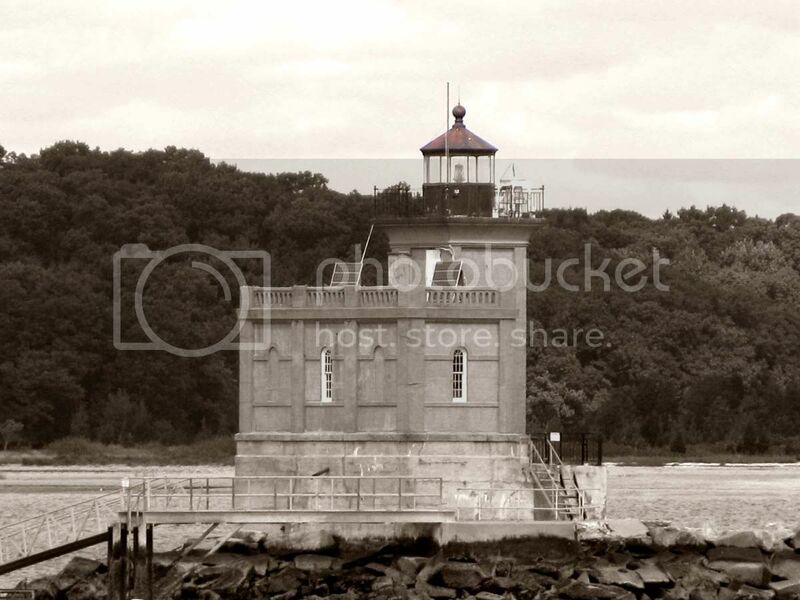 My sepia posts are two of my favorite photos of lighthouses. I took both of these shots from the shore using my Canon point-and-shoot at 10x zoom. Okay now it's time for you to sign Mr. Linky and leave a comment. Take some time to visit your fellow Sepia Sceners. What a neat looking place! I have a long-standing love for lighthouses, from the tiny to the majestic, so I love this pair. I love that lighthouse! What a great building and it looks wonderful in sepia. I can why they would be your favorites. What a unique lighthouse it is. It's definitely not your typical round lighthouse. I love, love, love your header and the light house photos are scrumptious. I always love your lighthouse scenes! Wish I lived close to some! I have a sepia up this time , too! that lighthouse is certainly worth seeing. :) Looks like a small castle. I've come to love your lighthouse pictures. what amazes me is that they are all so different, yet elaborate in architecture. This one in stone was so very special. I like the hint of red on the tower top. Guess that's ind of international for lighthouses. I live at the utmost side of a long and rocky coast. Just within 15 minutes driving there are 6 lighthouses. Four of them used to be manned 24/7. It was a rough life, they could be without contact with the outer world for months when the autumn and winter storms raged. Now they are fully automatized. The local population still cares for their light houses. Some converted to galleries, ateliers, other are guest houses. The majesty of lighthouses, even very humble ones, always leaves me feeling safe and comforted. The lighthouse looks strong and sturdy. Sepia suits it. I really like the photo with the sailboat in it. I get a sense of motion contrasted against the stationary lighthouse. I love the sailboat. Very nice. wow such a nice lighthouse! i havent seen one up close yet..
Great photos! Looks like it's been standing there forever. Have a great day! lighthouses are great subjects. I love the touch of red on the roof. Perfect sepia. I love your lighthouses. 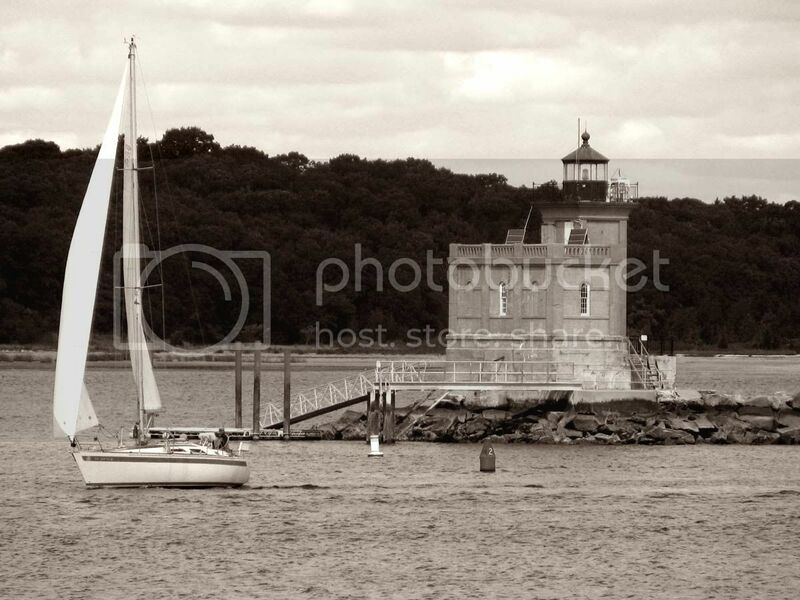 I really like these photos of the lighthouse, so nice for sepia! Love Lighthouses and your shots are wonderful.